It has been a marathon of a year for me. Well, actually I’ve only completed one 42.2K race. But it has been a year of half marathons—a half dozen in total—and the one that’s closing down my race season (I think) happened last weekend at the Rock ‘n’ Roll Marathon in Las Vegas, Nevada. Between the casinos and desert heat (Having experienced those sweltering temperatures last July when, during a mid-week conference, I did my pre-dawn training runs.) 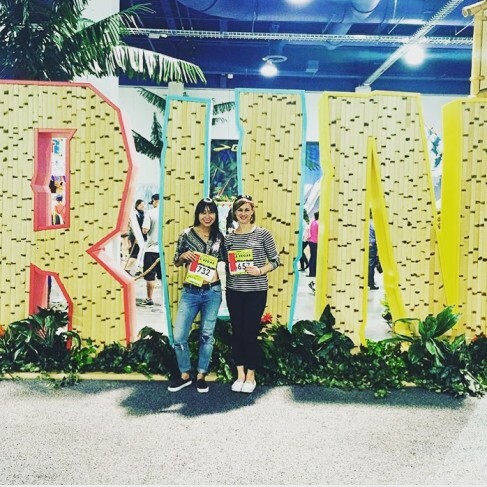 Las Vegas is not a runner’s mecca, but that’s part of what makes holding a race there so brilliant—it’s unexpected not to mention unexpectedly good. 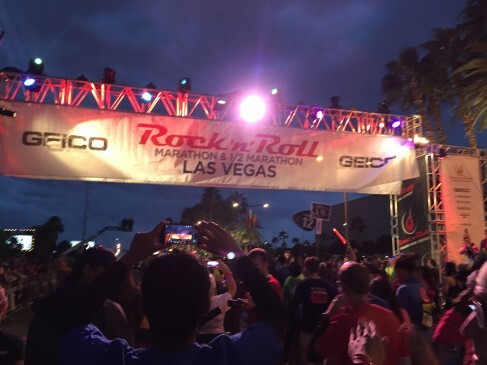 For the past six years, the Rock ‘n’ Roll Marathon series has been descending on Sin City, taking it over and giving runners the opportunity to Strip at Night, or rather, peel down the infamous Strip at night. As one of 30 races held around the world by the Rock ‘n’ Roll series at global destinations including Dublin and Madrid along with North American ones, such as Montreal, Vancouver and San Diego. Runners of all levels from often use the events as a goal race, one that will take them to a new destination year (or month) after year. In our group there are ten runners from Australia, Mexico, Canada and Italy, six will participate in the 10K, three in the half-marathon and a single marathon runner. In fact, Rock ‘n’ Roll race series makes it easy by offering Tour Passes that includes registration at multiple race, align with Heavy Medal bling in commemoration of your race tour. 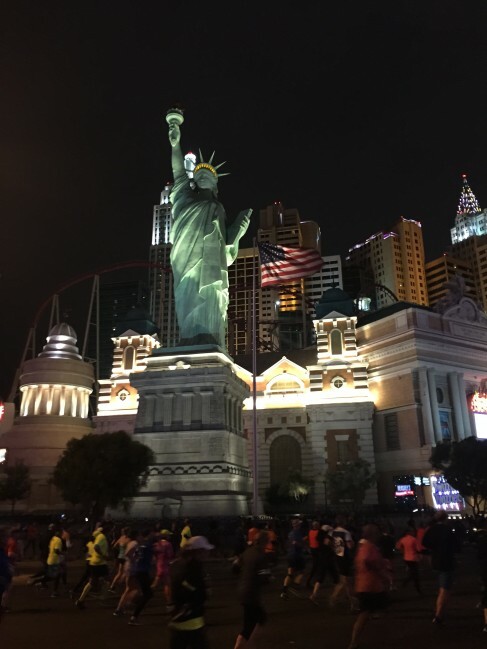 At dusk on Sunday, November 15, more than 80, 000 runners geared up (or down) and stood in corrals ready to rock their run in Vegas, under the lights of Vegas. For someone who’s used to training in the pre-dawn hours, and racing in the morning, hitting the start line at 4:30pm felt awkward at best. Not to mention that our days had been pretty jam-packed and brunch at the Bellagio, though delicious, meant I was out of my usual pre-race meal routine. No matter, this is part of what destination racing is all about. 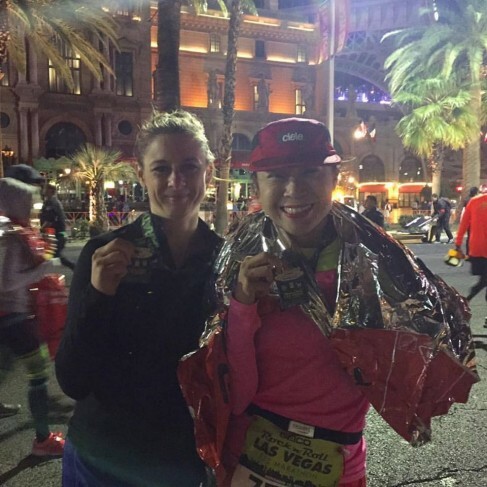 I’m still chasing that elusive BQ, but running in Vegas, is not only about hitting a PB, but it’s also about embracing the whole experience. When you think about destination races, passing landmarks and killer views are often part of the energy and experience. In Vegas, it’s no different, except that it is. Consider this. Where else on earth can you run past the Empire State Building, Brooklyn Bridge, Statue of Liberty, Eiffel Tower and the Canals of Venice? Exactly. It’s unreal and yet its totally for reals! Along with the killer vies, part of the draw of the Rock ‘n’ Roll series are the headlining concerts which kick off race day. In the past bands have included the GooGoo Dolls, Macklemore & Ryan Lewis, and this year Kid Rock played to what he credits, as being a crowd of his healthiest fans base ever. Filled with lights, fireworks and plenty of action, racing down the strip is an unbeatably exhilarating experience. And it’s that rush of adrenaline that kept me warm through this year during the unseasonably cool temperatures and scattered showers. 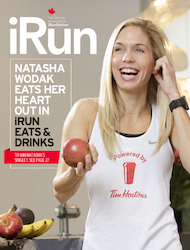 Depending on the distance you choose—10K, half marathon or a full 42.2K, you’ll also weave through less bright, residential streets where sponsored cheering sections, featuring live DJs help to keep your energy and sprit revved up. It wasn’t my best time, and it wasn’t my worst, but it was definitely an unexpected adventure. Judging by the number of runners outfitted as Elvis who ran it, this race really is more about the novelty and fun of running this iconic cityscape. Weaving through the finisher’s shoot, cold, damp and scanning the crowd for familiar faces, I was thrilled to happen upon iRun’s editor-at-large, Karen Kwan. Making our way back to designated transpiration meeting hotel, the fierce gusts of wind sweeping through the crowd nearly took what was left of our breath away. Chilling cold, rain and wind, seemed to make the post-race margaritas and Fiesta Nachos at Nacho Daddy even better. And while Karen will find herself toeing the line in an even warmer destination in the Cayman Islands next month, for me, this might be a wrap on destination racing in 2015. 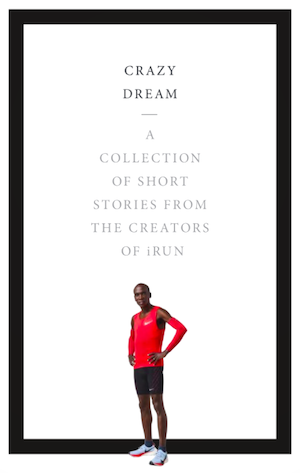 Right now, I’ll keep right on running as I consider the adventure of destination races ahead in 2016. Previous articleBrain Games for Mental Sharpness, Is There a Better Way?